SPECIAL COLLABORATOR Rock Progressivo Italiano! 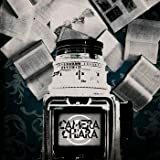 Camera Chiara is a band from Salerno, Italy, who came together in the latter half of the 2000s, and who released their self- titled debut album late in 2013. The lineup for the album was Francesco Lembo (keyboards), Daniel Lupi (bass), Vincenzo Manzi (guitar), and Antonio Pappacoda (drums). The music is instrumental, relying heavily on textures, melodies, and interweaving lines from keyboards and guitar, all with some excellent steady, always interesting contributions from the rhythm section. The bass lines in particular are very memorable, driving the songs forward and providing a solid anchor. At times the moods are spacey, other times tinged with a post-rock melancholy, still others driving and heavy. Each song moves down its own unique path, but they all definitely share common elements. Stand out moments for me are Chiaroscuri, Nel Tuo Mondo, In Un Gioco Di Specchi, Il Nuovo E Il Vecchio Giorno, and especially Come Il Bianco Col Nero, which I'll try to describe to give a sense of what the album is like. The song opens with a bass trill with some echoes applied. Spacey keys and guitar effects soon appear, as well as a quiet stuttering drum beat. These all interplay and gradually build, with the bass continuing its hypnotic trilling riff. There are two alternating chords that form the backbone of this section. About two minutes in, the guitar and bass double in a new riff that takes over and acts as a bridge to the next longer section. A descending bass line reminiscent of Pink Floyd's Interstellar Overdrive introduces the next section, a more uptempo beat with some punchy keyboards and building guitar riffs, some angular and some fluid. The keys vary from vibraphone to organ, shifting to background for some killer guitar solos. 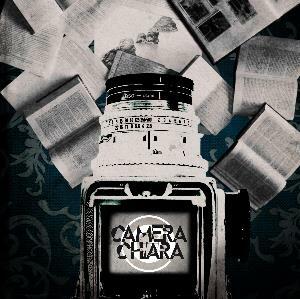 Camera Chiara were formed in Salerno in the second half of the first decade of this century. After a first demo in 2008, in 2013 they self-released an interesting eponymous début album with a line up featuring Francesco Lembo (keyboards), Danilo Lupi (bass), Vincenzo Manzi (guitar) and Antonio Pappacoda (drums). The name of the band was inspired by a book about photography by Roland Barthes, La chambre claire (translated in English as Camera Lucida) and the love of the band for the art of photography is also portrayed on the album cover that in some way gives you the right key to approach the musical content of this brilliant work. The short opener "Tufa Domes, Pyramid Lake" sets a mysterious, dark atmosphere. Although there are no liner notes in the booklet, the title seems to refer to a famous picture shot in 1867 by Timothy H. O'Sullivan which portrays an almost lunar landscape on the Pyramid Lake, a place near Reno, Nevada while the music recalls Pink Floyd. 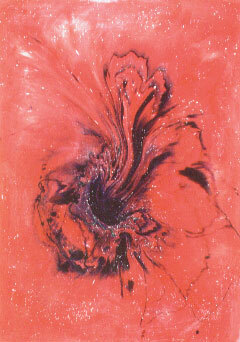 The following "Chiaroscuri" is a long, complex track marked by the constant contrast between dark and light atmospheres. It' another track that testifies the deep passion for photography of the band. In fact, chiaroscuro (Italian for light-dark) is a word that defines the artistic use of strong contrasts between light and dark, usually bold contrasts affecting a whole composition or a picture. Here pulsing, tense bass lines contrast with light, soaring keyboards waves and electric guitar patterns while calm moments are followed by stormy passages. Every now and again Goblin or L'Ombra della Sera come to mind but the music does not sound derivative at all. A real treat! Then comes "Maschere cadute" (Fallen masks), a nice short track full of positive energy that leads to the reflective "Nel tuo mondo" (In your world). Here the atmosphere is dreamy but never relaxed while shadows and lights seem to dance all around. A great track! "Come il bianco col nero" (As white with black) is another complex track where influences from the past and modern sounds are mixed in an original way with brilliant results. 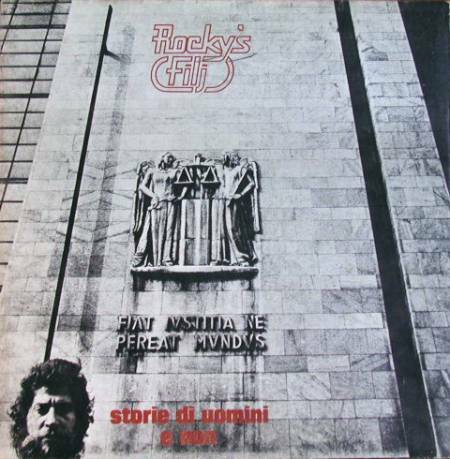 Then "Il nuovo e il vecchio giorno" (The new and the old day) concludes the album with a good dose of electricity and powerful blows of optimism. Post a review of CAMERA CHIARA "Camera Chiara"